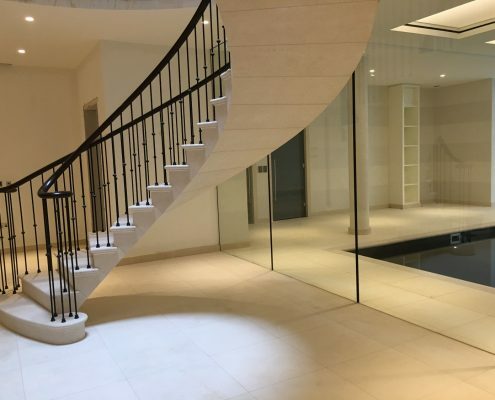 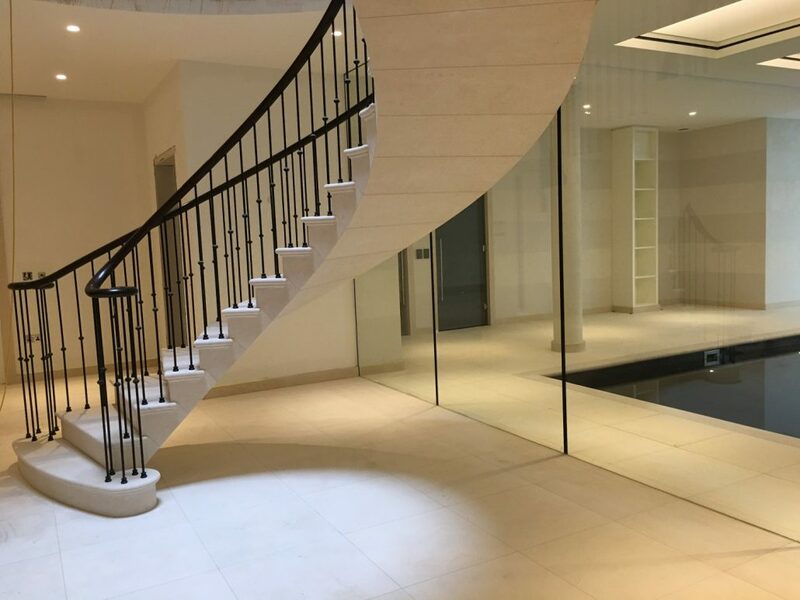 Camp End was a wonderful project which we completed in 2016 – the post tension stone staircase was fully installed with landings, ready for our survey. 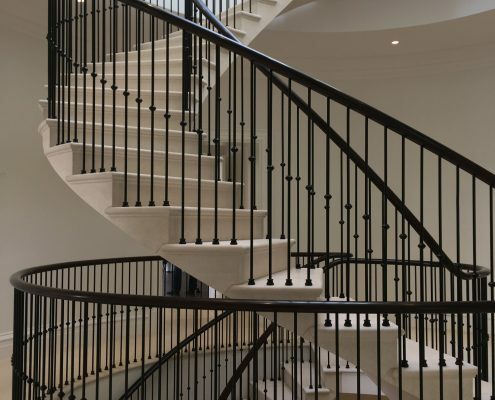 By digitally scanning the hole positions on the steps, we were able to create a full 3D model of the stairs to present back to the client, as well as a cutting list for the metalworkers. 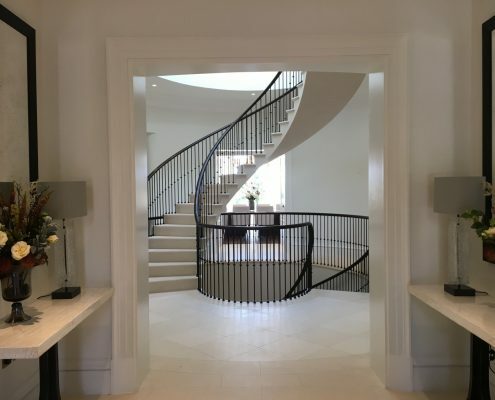 Our team spent just over a week on site fitting the spindles and the handrail, with mm precision and no room for error. 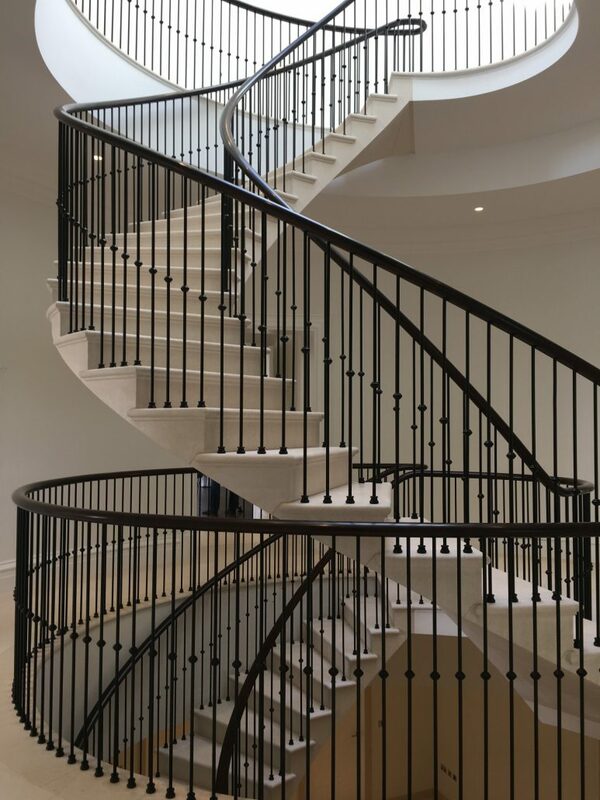 We then French polished the handrails to give a traditional and hardwearing finish. 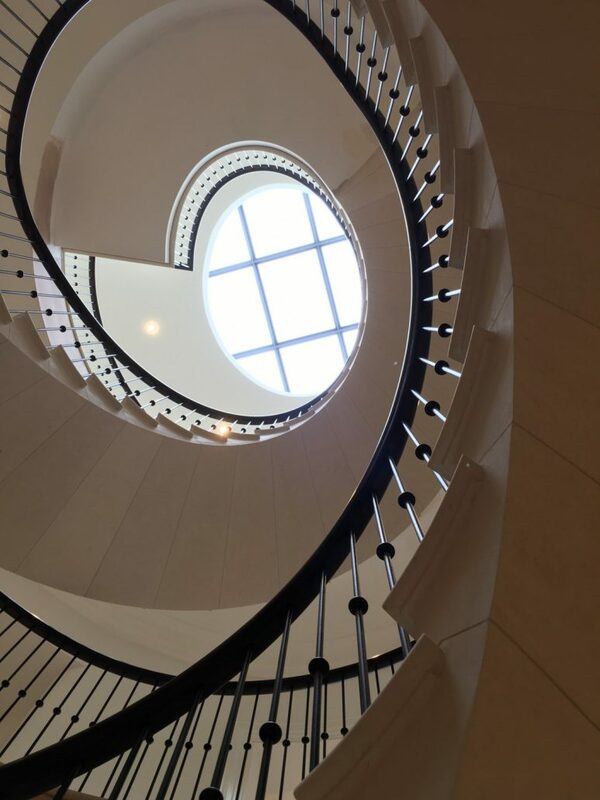 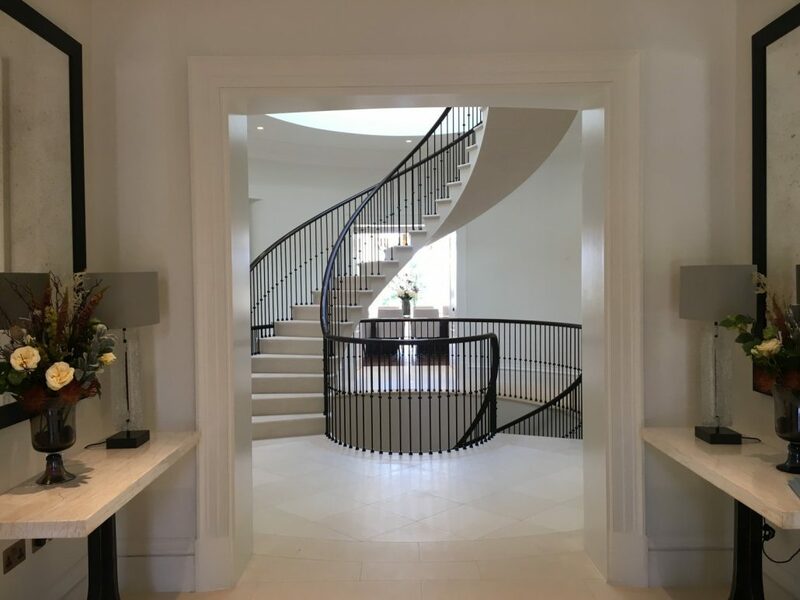 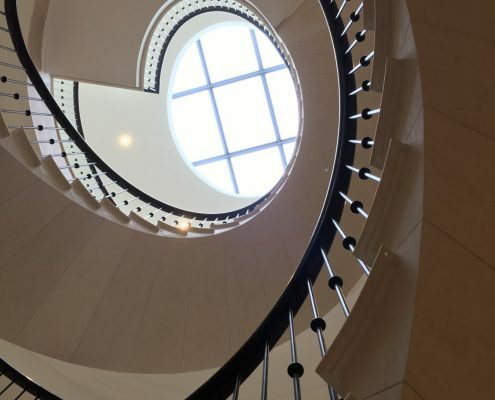 The result is this visually striking feature staircase which is the centrepiece of the home in Surrey.